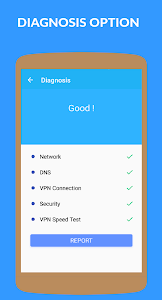 VPN Master USA We are structured, built and optimized for Android. We offer Wi-Fi security, online privacy, and access to blocked content & apps via proxy. 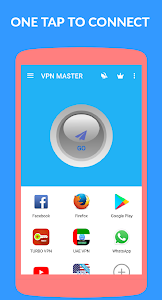 Activate Master VPN USA with 1 simple click! Because of our great servers, the speed is amazing. You can watch high-quality media and not worry that something will lag. ♥. 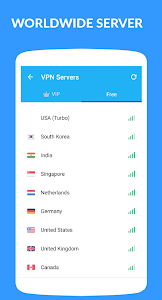 One-click fast VPN setup, no registration needed. ♥. Unlimited speed, unlimited bandwidth. ♥. Very strong 256 bit AES encryption to protect user’s online privacy. ♥. 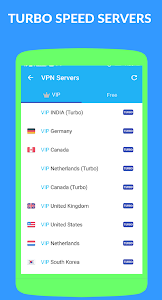 World's fastest VPN access servers in multiple regions. ♥. Unblock all geographically restricted websites & apps. ⚡ Unlimited data access Added..
⚡ Multiple locations Server Added.. 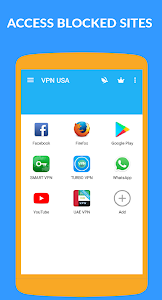 Similar to "VPN USA - Free•unblock•proxy"